Sellers and newbies, drawn into the eCommerce arena, are often confronted with the question: How to increase eCommerce sales? The answer is simple. To increase eCommerce sales, sellers should take care of three important elements: Conversion rate optimization, Order fulfilment and Order management. Magento, the reputed eCommerce marketplace platform has to be commended for its flexible and appealing extensions which help sellers increase eCommerce sales. Today, Magento is being used by more than 250,000 merchants worldwide and as a matter of fact, its extensions cater to a variety of purposes – ranging from email marketing to creating loyalty programs. This Magento eCommerce extension integrates your eCommerce platform with all the major social networks: Facebook, Twitter, Google Plus and Pinterest. This extension lets you place buttons such as Facebook Like, Twitter Follow, Google + and Pin on the web pages of your online site. Thanks to this extension, registration is reduced to a single step process. Users can sign in through their social networking accounts. One of the factors which play spoilsport in order placement process is lengthy checkout process. Customers do not have the patience to fill and re-fill empty data fields and forms. More often than not, quite a few impatient buyers shall abandon the shopping carts without placing orders. This Magento eCommerce extension will increase conversions by reducing the number of steps required to place an order, thereby decreasing the incidence of shopping cart abandonment. This Magento eCommerce extension perfectly integrates your online Magento store with your WordPress blog. This extension is perfectly compatible with the three Magento editions: Magento Enterprise, Magento Professional, and Magento Community. This extension will not affect your online store’s SEO. You can use Yoast SEO to configure your WordPress blog’s SEO. It is important to keep your customers abreast of latest plans, discount and offers. To all those customers who subscribed to your newsletter, drafting a personalized message is important. Quite un-astonishingly, eCommerce entrepreneurs leverage marketing automation software such as MailChimp. 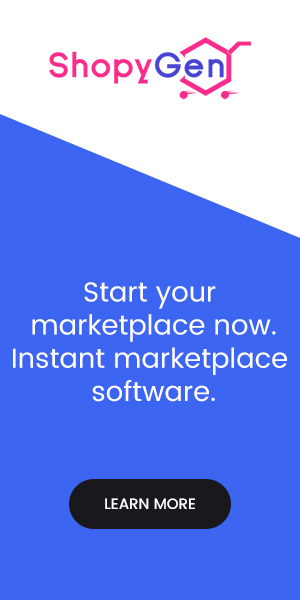 Make Money, one of the best Magento eCommerce extensions, lets you integrate your online store with your Mail Chimp account. In other words, synchronizing subscribers is just a couple of clicks away. This is a 12 – in – one eCommerce extension which comes with a plethora of features ranging from social login to referral marketing, behavioural data analytics to revenue attribution. 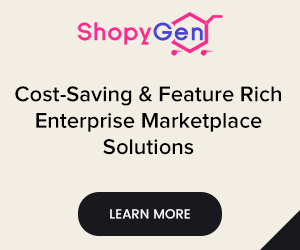 Not only does this Magento eCommerce extension facilitate email marketing and retargeting campaigns, it enhances eCommerce conversion optimization and enhances social sharing. This Magento eCommerce extension optimizes user-generated content and reviews for mobile, thereby lifting eCommerce conversion rate anywhere between 30% and 120%. Sellers can identify prospective buyers and engage in up-selling. And yes, this Magento extension offers coupons to shoppers. Shoppers can use the coupons to write and share product reviews. It is important to give suitable recommendations to shoppers. For instance, if a shopper places an order for a Java programming book, it is likely that he/she may have a penchant for PHP language as well. It is in this spirit, your online eCommerce store should throw relevant recommendations and suggestions. This Magento eCommerce extension is known to increase eCommerce sales by providing relevant recommendations and suggestions. Cross-selling and up selling are very much in the offing. Ever since its release in 2008, this popular Magento extension was downloaded in large numbers in the USA, the UK, Australia and Europe. This popular eCommerce extension provides multiple shipping options to customers based on their location. This eCommerce plugin lets you define shipping rates based on various parameters such as destination, weight, price, and quantity of the item. Online traffic can be divided into two categories: Casual customers and loyal paying customers. To keep in touch with casual and loyal paying customers, it is important to install this eCommerce extension and create a two-way interaction platform. It comes with a simple yet effective WYSIWYG (What You See Is What You Get) editor. Your community of customers can openly express thoughts, opinions, and views. Loyal customers often engage invaluable and productive actions such as placing orders, referring friends, creating multiple accounts, writing product reviews etc. This Magento eCommerce extension lets you create your own loyalty programs in which loyal customers will be rewarded points for their valuable actions and customers can redeem the points to get discounts. This best Magento extension acts as a facilitator for viral marketing or WOM (Word Of Mouth) marketing. It is important to have a separate and a dedicated page for every brand. Cluttering of several brands in a single page will not yield effective results. Many regular visitors have an inclination to browse, shop and filter by various parameters such as authors, artists, and manufacturers. This cloud-based marketing extension takes care of your email, mobile and social campaigns. Not only does this Magento eCommerce extension allow you to import past purchase information of buyers, but also lets you create razor sharp targeted campaigns. This eCommerce extension has a feature to tackle shopping cart abandonment phenomenon. It allows you to send notifications associated with relevant product information to shoppers. The name of this Magento eCommerce extension speaks volumes about its features. 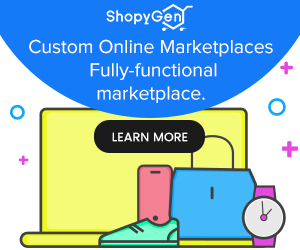 This eCommerce extension lets you convert select or all guest checkout customers to registered customers and as far as passwords generation is concerned, auto-generation is the most preferred mechanism. This eCommerce extension allows you to add a ‘Convert to Premium Account’ button to checkout pages. All such growth hacks increase eCommerce sales. This Magento eCommerce extension is incredibly user-friendly. It plays a major role in synchronizing all the customer and user data which includes everything from order data to wish lists, from browsing behaviour to shopping cart content. 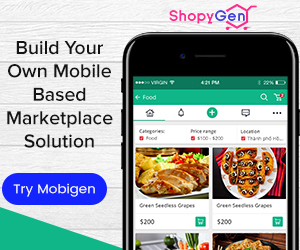 Not only does this Magento eCommerce extension let you run key sales campaigns but also SMS and push notification campaigns. To use this extension, you are required to have a dot mailer account along with a license. This eCommerce extension comes with a detailed documentation guide. Both tech-savvy and non-tech savvy users can make the best use of documentation to keep themselves abreast of the functioning of this extension. Enthusiastic shoppers often bombard online stores with a barrage of questions. To increase eCommerce sales, it is in your best interest to answer all their questions with patience. This Magento eCommerce extension lets you to do so through its responsive chat widget. Not only does this eCommerce extension have enough provisions to track visitor flow, but also to trigger behavioural patterns. Bright Pearl is an omnichannel retail management Magento eCommerce extension that helps you handle all the complications associated with inventory management over multiple channels. You can thus save precious time and focus on revenue generation. This extension offers a free trial plan and premium plans start from $199 per month. One of the major problems which eCommerce businesses face is low visitor engagement. This often results in low conversions. According to a study by Magento experts, as much as 98% of the traffic driven to your website doesn’t convert into a prospective lead. As a result, sales do not happen. Justuno saves your day through its suite of robust website conversion tools. Not only does this Magento eCommerce extension enhance your traffic, but also converts them into your potential social fans. The long and short of this Magento eCommerce extension: Justuno takes care of eCommerce conversion optimization. The next big thing in e-commerce is social commerce. It is therefore absolutely important to lend social flavour to your online store. Pixlee facilitates this by enabling brands to leverage user-generated data- both pictures and video. Of course, customer reviews and testimonials can be displayed on your store with effortless ease, thereby creating shoppable galleries. To discover key insights, you are required to track campaign performance metrics. Pixlee has provisions to track the performance of campaigns. Very often, customers get disappointed if their favourite product is not present in your eCommerce store. Dejected and disappointed, they are bound to abandon the shopping cart. Whenever you replenish inventory, this amazing Magento eCommerce extension notifies your customers about your ‘out of stock’ product which is back to ‘In stock’. Customers are required to provide their email-ids to get notifications. Personalized emails can be sent to customers by tweaking the templates associated with this eCommerce extension. To increase eCommerce sales, it is important to create a sense of urgency and sense of enthusiasm amongst customers. This Magento eCommerce extension lets you generate multiple deals for one or more products, similar or dissimilar, thereby creating urgency. 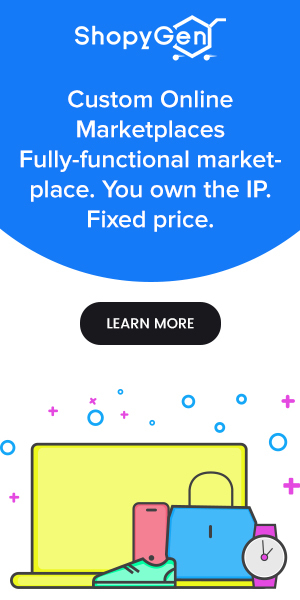 This eCommerce extension lets you set the deal to date, time and price. And yes, there is a provision to set countdown timer as well. A report by Access Development states that loyalty program members purchase 13% more than non-loyalty program members / casual customers. The same report reveals another interesting fact: Loyalty programs increase eCommerce sales by at least 20%. This Magento eCommerce extension lets you manage points and view reports. Not only does this Magento eCommerce extension reward customers based on their behaviour but also on their actions such as frequency of purchase, sign-ups etc. As customers get attracted to rewards and points, this Magento eCommerce extension is rightly named Reward Points. Magento doesn’t allow you to delete orders. However, it allows you to cancel orders with the help of this eCommerce extension. Inventory can thus be managed effortlessly without any hassles. This Magento eCommerce extension lets you cancel orders both individually and in mass. The importance of SEO (Search Engine Optimization) is known to one and all. And most important of all the SEO elements is XML sitemap which makes it easier for Google to find your website pages. This Magento eCommerce extension takes care of indexation of all your product categories. This makes your site even more user-friendly. Online businesses are full of fraud, cyber theft and privacy breaches. Every now and then, we hear notorious instances of fraudsters embezzling funds. Customers will not engage in any monetary transactions unless and until you assure them of high security. This Magento eCommerce extension processes payments in a secure manner, thanks to SecureXML gateway. For all intents and purposes, payment details will be confidential. Customers are known for their tendency to delve deep into the granular details of products before making any purchase. This Magento eCommerce extension allows your customers to zoom in any product, view the product from multiple angles and verify all the relevant product specifications. 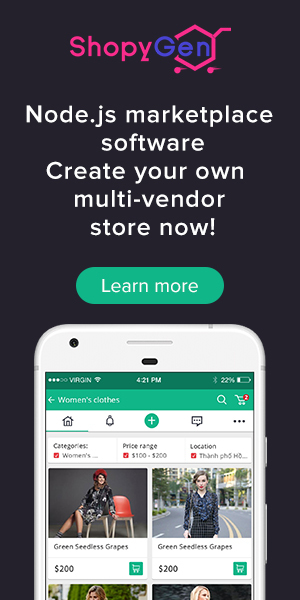 And yes, this eCommerce extension works perfectly on smartphones and tablets as well. Regardless of the screen size and resolution, this Magento eCommerce extension works fine. If you have any doubts or concerns, feel free to drop a line or two in the comments section. We shall reply in a day or two. And yes, we can integrate best Magento extensions in your eCommerce marketplace platform. Subscribe to our newsletter. Keep watching this space for insights on how to increase eCommerce sales and Magento eCommerce extensions. Our best wishes are with you and your eCommerce venture. Cheers!